This week’s lesson is a short one but an important one. When you stop and ask people what they want most in life, about 95% of the time they will reply: “I just want to be happy.” It is as if they believe this place called “happy” is someplace that you can locate on a map. Happiness is not a place somewhere in the world that you can travel to. You do not have to go anywhere to find happy as it exists within you in your mind and also in your soul. Happiness does not have just one definition as it means something entirely different to every individual. Happiness does not revolve around a big expensive house or a new car. It does not exist in only the big things in life but can be found in something like a silly joke that makes everyone laugh every time you think of it. Happiness can exist in your favorite old movie or television show that you watched when you were a child. True happiness is within you and everywhere around you. You did not have to look or go that far to find it. Let’s spend some time over the next seven days finding joy in everything that you do and also in everyone you come in contact with. 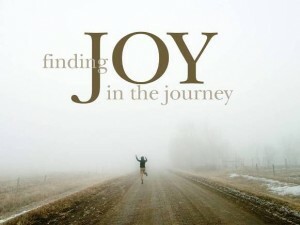 Most people will rush around all day long without noticing joy because they are too busy to notice it. It seems like the only time that they will notice it is when it comes in the form of a really big deal like a large check or a business contract or something to that effect. You can make the smallest incident, like an amazing cup of coffee your first glimpse at the trees turning from summer to fall colors, into a very joyful experience. At the end of the day, after you have allowed the joy to manifest itself into your life, I would like you to write it down in your journal or notebook every glimpse of joy no matter how small that you experienced that day. Then take a look at the end of the seven days and you will be amazed at the joy you have been overlooking your entire life.